UGH. Let me just start off by saying how much I hate photographing at night. The lighting is so dull and it doesn't look as high quality as my morning pictures. Oh well. I wanted to get this post up and I was slacking on taking the pictures, so these will have to do. 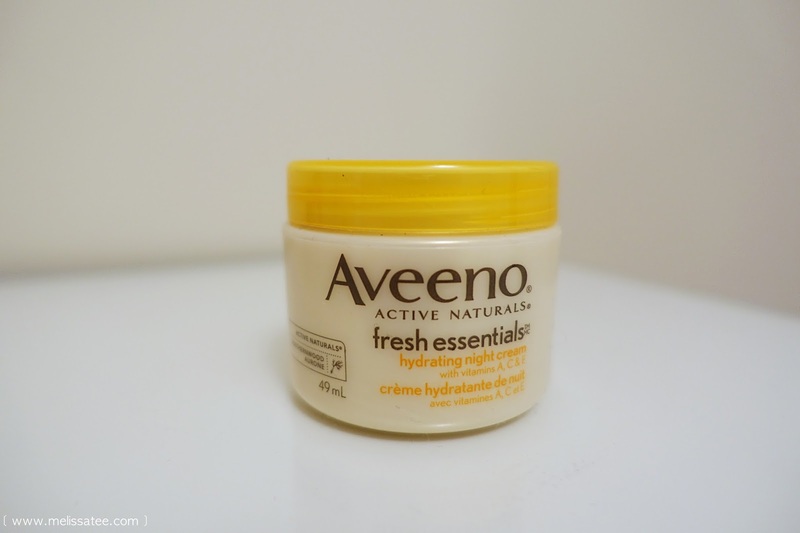 I got the wonderful opportunity to test and review the Aveeno Fresh Essentials product line! I've used Aveeno products in the past, including their moisturizer and positively radiant tinted moisturizer. Of course, this was when my skin was young, pimple free, and flawless that I was able to wear a tinted moisturizer only and go on with my day. Ahh, I miss those days. A little bit about the brand and the product line first. 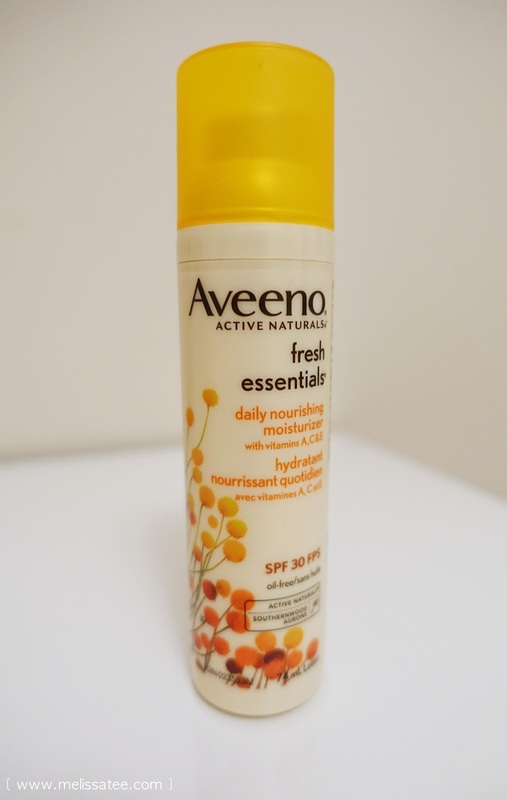 Aveeno is a brand that's known for harnessing the powers of Active Naturals technologies, that combine the best of nature with the power of science. Aveeno Fresh Essentials is an innovative product line of face products that keep what's good for your skin IN, and the bad stuff OUT. I have used these 3 products everyday for about a week and a half, so I would say this would be a fair review on my thoughts of the products. Out of all 3 products, this one is my favourite. The hydrating night cream is a nice thick consistency, almost like a body butter consistency, but it doesn't leave your skin feeling oily. It replenishes your skin's moisture barrier while you sleep so you can wake up with skin that feels amazing and new. I can pack this stuff on my face and it doesn't feel too heavy or slick at all. I'm usually a fan of thinner consistency moisturizers for night time, but this one feels like you're wearing nothing at all! Okay, I may have said that the previous product was my favourite, but this one comes very close. I forgot to mention that all these products have the exact same smell, so it's not like you're mixing scents when you're using these products. I would describe the smell as natural, not to heavy, and not too floraly. I can't really put my finger on the exact smell. The first time I used this product, I fell in love instantly. Already, after one use, my face felt significantly softer and smoother. I wondered why the microbeads/exfoliators were so minimal, but then I realized, duh it's a daily scrub. You wouldn't want to use a scrub that was so harsh every single day would you. This scrub is gentle to use everyday, and it definitely works! I know I'm not the only one guilty of this. I rarely use SPF moisturizers. I don't know why, I'm just drawn to using products that don't have SPF, and I know that's terrible. I'm glad to see that Aveeno has a lightweight daily moisturizer that I can use that doesn't feel like I'm painting sunscreen on my face. The product sets instantly and it doesn't feel sticky at all like a sunscreen. One thing I didn't like about this product was that it doesn't help control my very oily skin, but it's not a product made to do that. As an oily skin girl, this product isn't for me because I need a moisturizer that won't make me feel extra oily by the end of the day. If you have normal to dry skin, this product would work awesome for you! 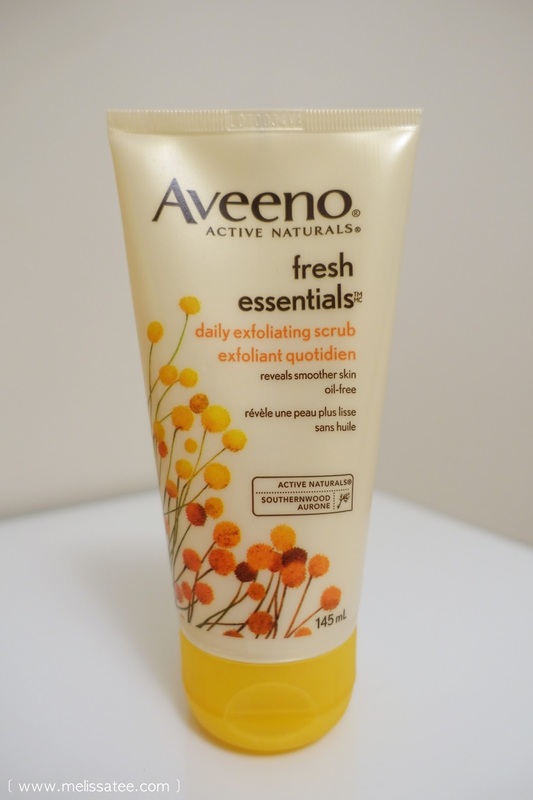 Aveeno hit it out of the ball park with this product line. All 3 of the products worked well on me, and I love the fact that all 3 of the products weren't harsh on my skin, or left my skin feeling unnatural. My skin definitely felt softer after the time I've used it, and it definitely made my skin look more.. alive haha. I would definitely repurchase the night cream and the daily exfoliating scrub! 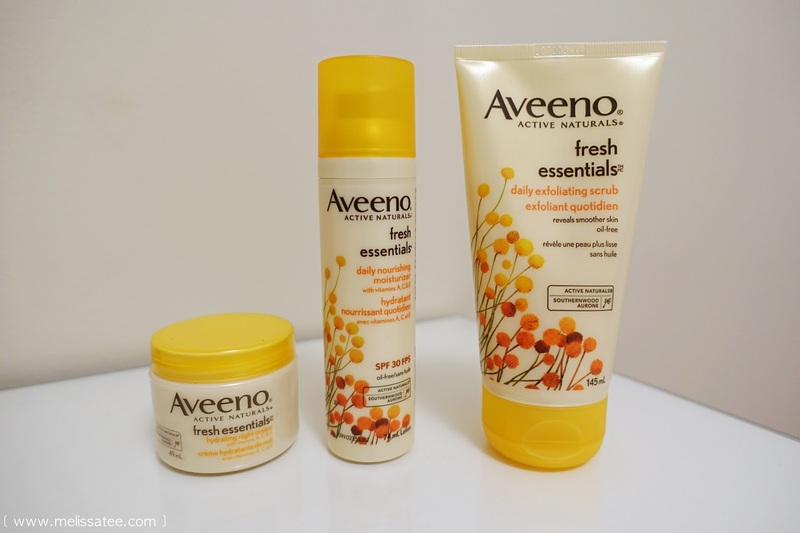 If you're interested in purchasing any of these products, they should be available at any superstores or drug stores that offer Aveeno products.